WASHINGTON – The Pension Benefit Guaranty Corporation announced today that the annual maximum guaranteed benefit for a 65-year-old retiree in a single-employer plan remains at $60,136 for 2016. The guarantee for multiemployer plans also remains unchanged. The PBGC maximum guarantee for people covered by single-employer plans is linked to a cost-of-living adjustment, or COLA, in Social Security law. Next year, SSA’s cost-of-living-adjustment will be zero. Accordingly, the maximum guarantee for the agency’s single-employer program will not change from the current 2015 levels. The single-employer guarantee formula provides lower amounts for people who begin getting benefits from PBGC before age 65, reflecting the fact that they will receive more monthly pension checks over their expected lifetime. Amounts are higher for benefits starting at ages above 65. Also, benefits are reduced for retirees who select to have payments sent to a beneficiary following their death. A table showing the 2016 single-employer guarantee amounts payable at ages other than 65 is available on PBGC’s website. Because the age 65 amount isn’t changing, the 2016 table is identical to 2015. The published maximum insurance benefit represents the cap on what PBGC guarantees, not on what PBGC pays. In some cases, PBGC pays benefits above the guaranteed amount. This depends on the retiree’s age and how much money was in the plan when it terminated. For more information about how the single-employer guarantee works, see PBGC’s fact sheet Pension Guarantees. The PBGC maximum guarantee for participants in multiemployer plans is also based on a formula prescribed by federal law. Unlike the single-employer formula, the multiemployer guarantee is not indexed (i.e., it remains the same from year to year) and does not vary based on the retiree’s age or payment form. Instead, it varies based on the retiree’s length of service. In addition, the multiemployer guarantee structure has two tiers, providing 100 percent coverage up to a certain level, and 75 percent coverage above that level. For a retiree with 30 years of service, the current annual limit is 100 percent of the first $3,960 and 75 percent of the next $11,760 for a total guarantee of $12,870. This limit has been in place since 2001. PBGC protects the pension benefits of more than 40 million of America’s workers and retirees in nearly 26,000 private-sector pension plans. The agency is directly responsible for paying the benefits of more than 1.5 million people in failed pension plans. PBGC receives no taxpayer dollars and never has. Its operations are financed by insurance premiums and with assets and recoveries from failed plans. Further hikes in PBGC premiums will help pay for a federal budget bill agreed to by the White House and congressional leaders late Monday. But, at what cost to our economy and employees? According to P&I, the budget deal, which lays out a two-year budget and extends the federal debt limit until March 2017, raises per-person premiums paid to the Pension Benefit Guaranty Corp. from $64 in 2016 to $68 in 2017, $73 in 2018 and $78 in 2019. The 2015 rate is $57. Variable rate premiums would increase to $38 by 2019 from the current $24. The proposal also calls for extending pension funding stabilization rules for two more years, until 2022, to allow sponsors to use higher interest rates when calculating contribution rates. Regrettably, this is nothing more than fuzzy math, and it continues to mask the true economics for DB plans. “Once again the employer-sponsored system is being targeted for revenue,” said Annette Guarisco Fildes, president and CEO of the ERISA Industry Committee, who predicted that the premium hike will give defined benefit plan sponsors “more reasons to consider exit strategies.” We, at KCS, absolutely agree. DB plans need to be preserved. Punishing sponsors by raising PBGC premiums is not supportive. “It’s an incredibly bad idea and it’s going to have, in the long run, devastating consequences for the (defined benefit) system,” said Deborah Forbes, executive director of the Committee on Investment of Employee Benefit Assets, in an interview. According to P&I, PBGC officials had not called for additional premium increases in the single-employer program on top of ones already scheduled. “PBGC’s finances for the single-employer program have been improving steadily over the past few years, and there is really no reason to increase single-employer premiums at this time,” said Michael Kreps, a principal with Groom Law Group. We’ve witnessed a precipitous decline in the use of DB plans during the last 30+ years. The elimination of DB plans as THE primary retirement vehicle and the move toward DC offerings to fill that gap is creating an environment in which there will be grave social and economic consequences. Enough already! Wake up Washington before the slope gets too slippery. Ron Ryan is an expert in pension matters as they relate to the liability side of the equation. Ron will be participating in a webinar tomorrow. It is a great opportunity to invest a small amount of time to potentially gather tremendous value add. I would encourage you to participate. If you can’t, I will be happy to get you his presentation upon request. Convergex Plan Sponsor Services is committed to helping clients stay informed on important industry issues while building relationships with key industry contacts. In that regard, we’d like to you invite you to attend an upcoming webinar with Ronald Ryan, founder of Ryan ALM, an asset and liability management firm. Convergex understands the critical importance for pension plan clients to be able to fund liabilities at stable and lower contribution costs. We also know that many of our clients are interested in de-risking their plans. This webinar will highlight how Ryan ALM’s offerings can help with these and other challenges. Ronald Ryan, founder of Ryan ALM, is an award winning pension expert who has been working with pension clients since 1977. 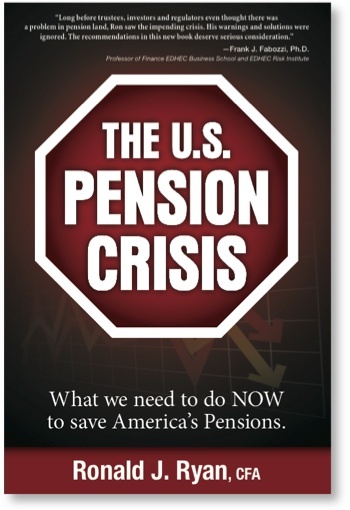 His new book “The U.S. Pension Crisis” won the 2014 Independent Publisher Book Award Gold Medal in the Finance, Investments, and Economics category. Ryan designed the bond index benchmark, currently known as the Barclays Aggregate Index, while he was Director of Fixed Income Research at Lehman Brothers. His career efforts also won him the William F. Sharpe Indexing Lifetime Achievement Award. For Public and Taft-Hartley Plans – Ryan ALM provides its proprietary Custom Liability Index (CLI), designed to be the proper pension benchmark for liability driven objectives, and its Liability Beta Portfolio (LBP), designed to de-risk a plan through a proprietary method of cash flow matching liabilities. According to Ryan/OMNI, this creates an opportunity to de-risk a plan while reducing costs by as much as 10%. For Corporate Plans, in addition to the CLI and LBP, Ryan ALM provides a set of discount rates that conforms to ASC 715 and is used by a ‘Big 4’ accounting firm, according to Ryan ALM. The NUMBers Are In – And They Aren’t Pretty! I was very fortunate to spend the last three days at the Florida Public Pension Trustees Association’s (FPPTA) educational conference listening to many bright, passionate presenters. If you’ve attended one of these before you wouldn’t be surprised to read that there were roughly 90 presentations on various investment strategies, actuarial related sessions, fiduciary standards, communication, healthcare, performance measurement, and even a couple on a DB plan’s liabilities (amen). But, the most common theme was related to the plan’s ROA or return on asset assumption, that is used to both discount liabilities and as a target for the plan’s assets. Through our research and based on what was shared at the conference, it appears that 7.5% is the most common target for the plan’s ROA. Given recent volatility in and poor performance of the global markets, the performance for the most common indexes is flat to negative for the 12 months ending September 30, 2015. In fact, one would have to be making a meaningful style overweight favoring growth versus value (in all capitalization ranges) to see reasonably positive numbers of 2% or more or an over-weighting in fixed income relative to equities to accomplish the same objective (Barclays U.S. Aggregate is up 2.94% for the last 12 months). But, we know that public DB plans have been reducing fixed income exposure with the anticipation of rising interest rates. It is doubtful that a “traditional” 60 / 40 (equity / fixed income) allocation is representative of today’s asset allocation, but if it were, it would show a 0.81% return for the 12 months, falling substantially behind the average ROA. If we used an equity allocation that included non-US equities at a 10% allocation, the 12-month return falls to 0.21%. However, it certainly seems to us that many plans have taken their international allocation up, while also diversifying into emerging markets. If the plan allocated only 5% of the domestic equity to emerging markets, so that the new allocation was 45% US equity, 10% Int’l – developed, 5% Int’l – emerging and 40% fixed Income, the return falls to -3% for the year, as emerging markets have gotten destroyed, a full 10.5% behind the “average” ROA. Unfortunately, as yields on bonds fell below the ROA in the late ‘90s and early 2000s, asset consultants began reducing allocations to fixed income, fearing that any allocation would prove to be a drag on the plan’s ability to achieve the ROA. As a result, most public fund DB plans have substantially less in domestic fixed income than they should or historically have had. Once again, it appears to us that most plans have less than 25% allocated to traditional U.S. fixed income. 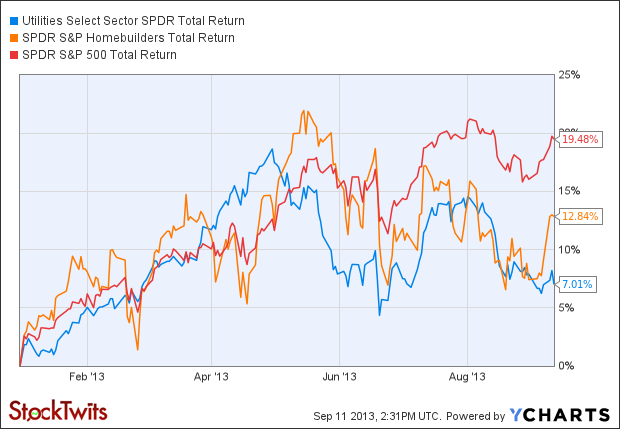 If this is correct, it is likely that the performance numbers highlighted above would be weaker. Compounding the fact that most plans will have a total fund performance that falls substantially below their ROA objective during this period, is liability growth, which during the last 12 months has increased by 9.6% (according to Ryan ALM). As we discussed at the conference, a plan’s specific liabilities should be the primary objective for performance reviews, but regrettably that hasn’t proven to be the case. Comparing your assets to your plan’s liabilities in 2015 would reveal a nearly 12.6% underperformance in the last 12 months. DB Plan sponsors have been very pleased with returns relative to their stated ROA objective since the great financial crisis concluded in March 2009, but the reality is that liability growth has outpaced most plans’ asset growth during the same period. However, this fact is mostly unknown since most plans don’t get regular updates on their fund’s liabilities. Unless a fund sponsor has access to a custom liability index (CLI) measuring the performance of the plan’s specific liabilities there is no way to know that fact. Asset Allocation should be driven by your plan’s liabilities and funded ratio, and not the ROA. Asset allocation should also be responsive to changes in both, but in order to implement a responsive asset allocation, one needs greater transparency on the liabilities. Let us help you understand the true economics of your plan. I had the great pleasure to attend Ron Ryan’s presentation yesterday at the Florida Public Pension Trustees Association (FPPTA) Conference in Naples, FL. As many of you know, Ron is a pioneer in indexing dating back to his days when he was the Head of Research for Lehman, and he and his team created the Lehman Aggregate index and its component pieces (sub indexes). Ron’s firm today, Ryan ALM, is focused on securing the promises made (liabilities) within defined benefit plans. Both he and I are trying to refocus the industry on why paying greater attention to a plan’s liabilities helps plan sponsors do a better job of creating a more sound investment structure and asset allocation. Getting a better feel for the liabilities doesn’t mean spending more time understanding the output from one’s annual actuarial report. It does mean using a tool, such as a custom liability index (CLI) to measure the interest rate sensitivity, growth rate and term structure of the plan’s liabilities. With this information, plan sponsors can begin to take risk off when it is appropriate to do so, and conversely, become more aggressive when the need arises. As an industry we have spent an inordinate amount of time focused exclusively on the return on asset assumption (ROA), and not nearly enough time, if any, on the liabilities, which is the only reason that the plan exists in the first place. Asset allocation should reflect the funded ratio and funded status of the DB plan. A 90% funded plan should have a very different asset allocation and risk profile from that of a 50% funded plan. How are your liabilities performing in this environment?